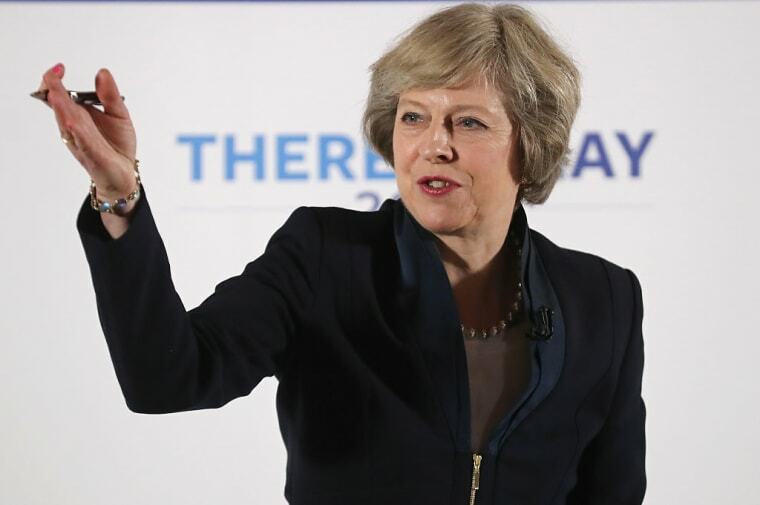 Prime Minister Theresa May Has Called A Snap General Election In The U.K.
Britain will go to the polls on June 8. U.K. Prime Minister Theresa May has called a general election for June 8, BBC News reports. The election was announced this morning, April 18, with May saying Britain needed certainty, stability and strong leadership following the E.U. referendum in 2016. The Prime Minister outlined the importance of political unity and said "division in Westminster will risk our ability to make a success of Brexit." “We need a general election and we need one now,” May said. “I have only recently and reluctantly come to this conclusion but now I have concluded it is the only way to guarantee certainty for the years ahead.” May has repeatedly said in the past that she was against an early vote. Recent polls placed the Conservatives 21 points ahead of Labour under leader Jeremy Corbyn, their biggest lead in nine years. “I welcome the Prime Minister’s decision to give the British people the chance to vote for a government that will put the interests of the majority first," Corbyn said in response to May's statement. Technically May cannot call an election directly, but she will lay down a motion in the House of Commons that would require two thirds of MPs to back it. Corbyn's statement suggested that his MPs will back the Commons’s motion.